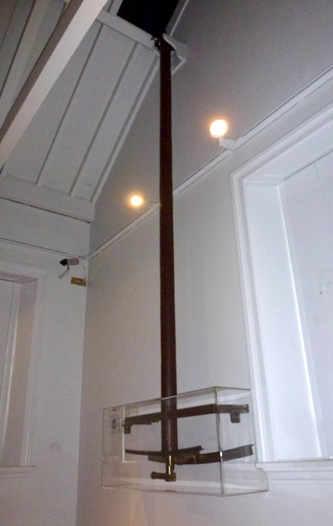 This telescope, hanging on a wall in the Meridian Building at Greenwich, was used to make two of the greatest discoveries of all time in the field of celestial dynamics. But before I introduce these discoveries, I need to create an image of the stage onto which they came. Measuring the speed of light began with Galileo’s failed attempt of the early 1600’s where he tried to arrive at a result by timing light over about two miles. Moving on, the next person to become involved, in 1676, was Ole Romer, a Danish astronomer who was studying the orbit of Io, the innermost satellite of Jupiter. Romer correctly deduced that difficulties he had in timing this orbit were related to light taking longer to reach earth when Jupiter was further away in its orbit. Working backwards from the observational data he arrived at a speed of light of 200,000 km/ sec. Although this figure is around 33% incorrect – attributed later to the imprecise dimensions of the Solar System known at the time – Romer became the first person in history to measure the speed of light. Meanwhile, the creation of Greenwich Royal Observatory was underway, and precision measurements of the celestial sphere were being developed. Stellar Parallax was of particular interest as, although Copernicus hypothesised a helio-centric universe in 1543, to date no one had found any proof that this was correct. Existence of Stellar Parallax would confirm this. 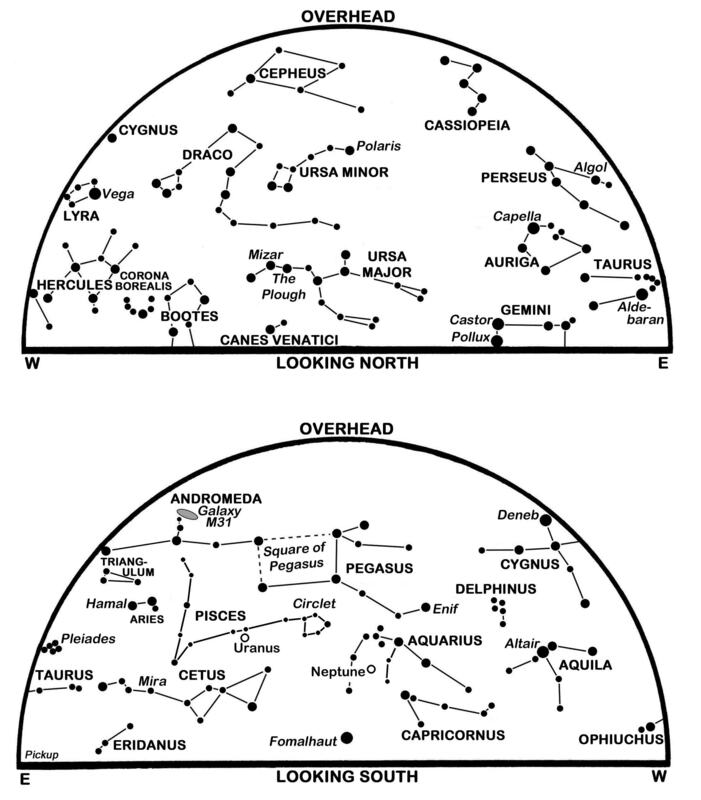 The effects of Atmospheric Refraction mean that small movements of celestial objects are best measured in the zenith where there is no refraction to interfere with the observational data. 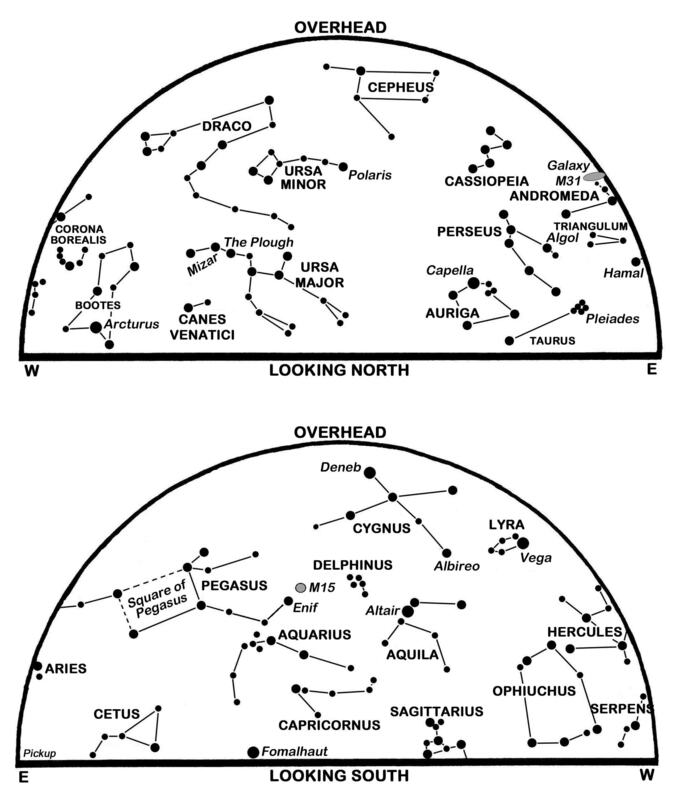 As a result, Gamma Draconis, which is in the zenith over London, was a prime candidate for measuring any small movements that a star may make. 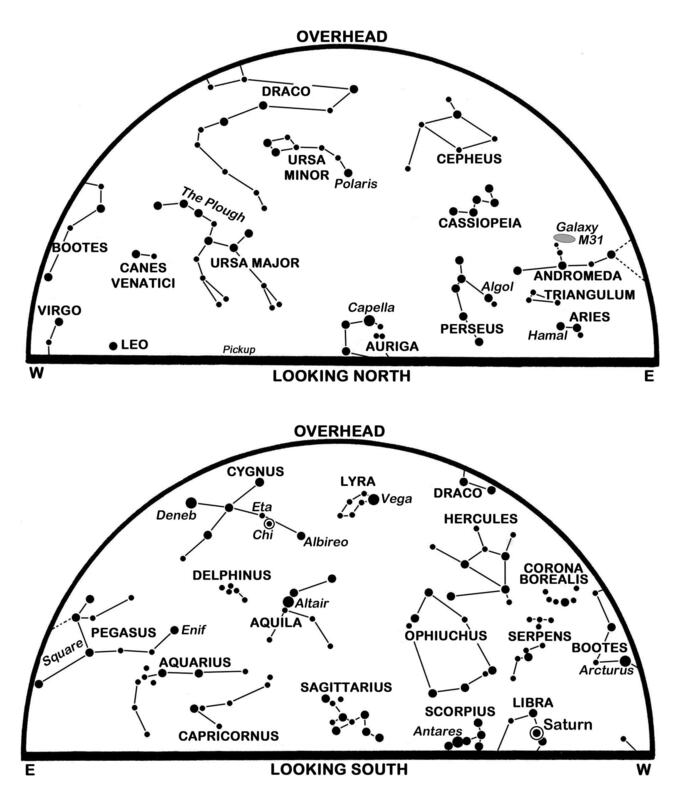 It was Robert Hooke in 1669 who invented the Zenith Telescope to study Gamma Draconis in more detail, and he noted that the star “moved by more than 1/100th of a degree” between early July and late October that year. Although compelling evidence for parallax, until a whole year’s data is obtained the question remains open. Hooke went on to design the Monument to the Great Fire in London as a 202ft Zenith Telescope, it being hollow from the basement to a trapdoor at the top that could be opened to reveal the sky. But, even at this time, the monument vibrated under the influence of London traffic and he was unable to carry out any scientific experiments. John Flamsteed in Greenwich built a Zenith Telescope into an existing well in 1679 but the records state he made only one observation. The problem lay dormant for the better part of 50 years until it was again addressed, this time by two individuals called Samuel Molyneux and James Bradley. Molyneux was a rich “amateur” astronomer, and Bradley was a trained observational astronomer. Molyneux funded a 24ft Zenith Telescope that was attached to a chimney of his mansion at Kew and Bradley ran the experiment. After one year’s observation Gamma Draconis was shown to indeed move with time – in an almost cyclical manner – but this could not be mathematically related to parallax – something else was happening. 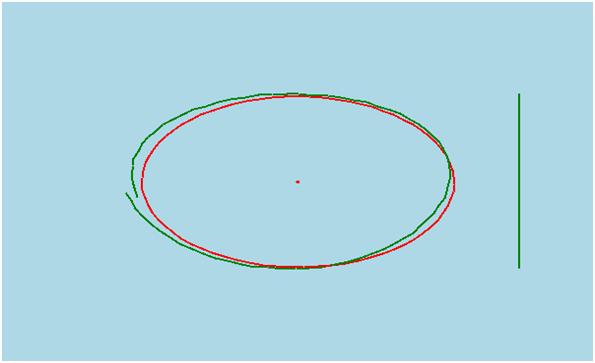 The diagram above shows the movement of Gamma Draconis, in green, in 1726. 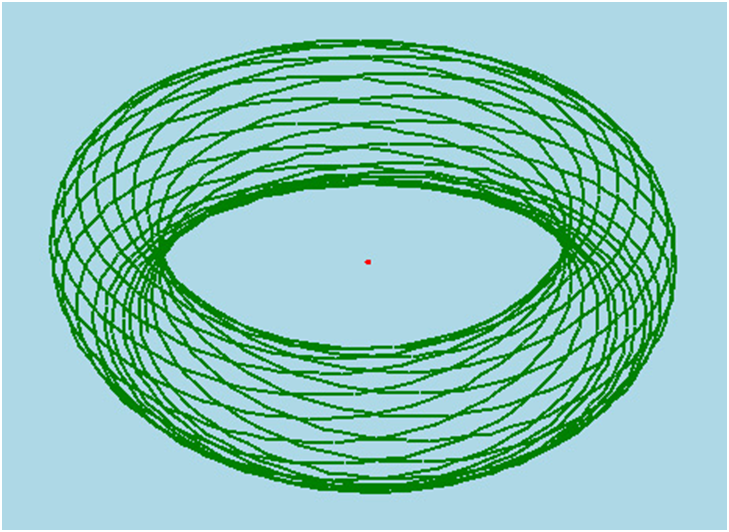 The red curve is the path that Bradley calculated the star would take if they were observing parallax. Although they seem to superimpose quite well, there is a phase shift in their timing and it is not possible for the green curve to represent stellar parallax. There is also a vertical green line in the image. 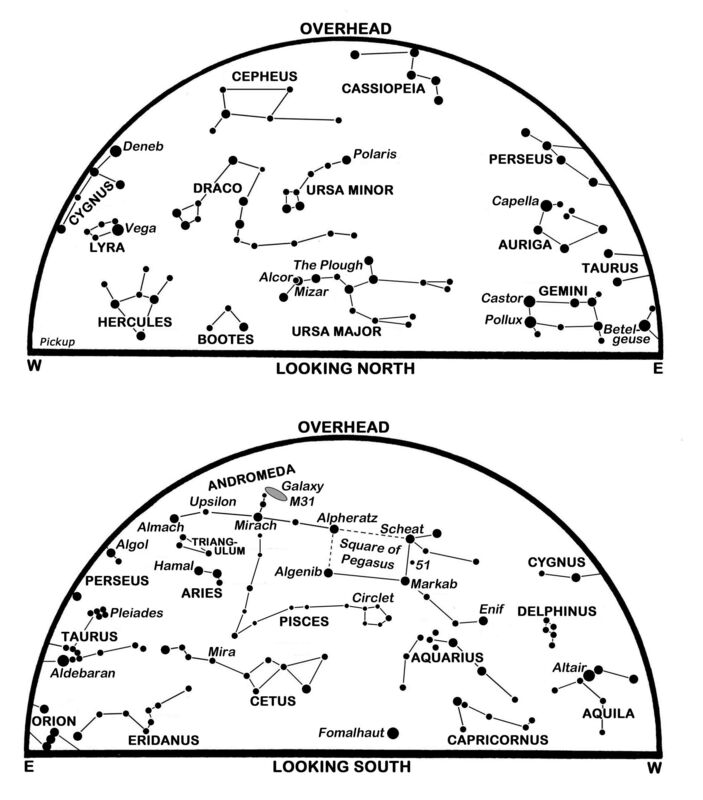 To measure the horizontal (Right Ascension) movement of the star a precision Sidereal Clock is required, but Molyneux and Bradley did not have one. 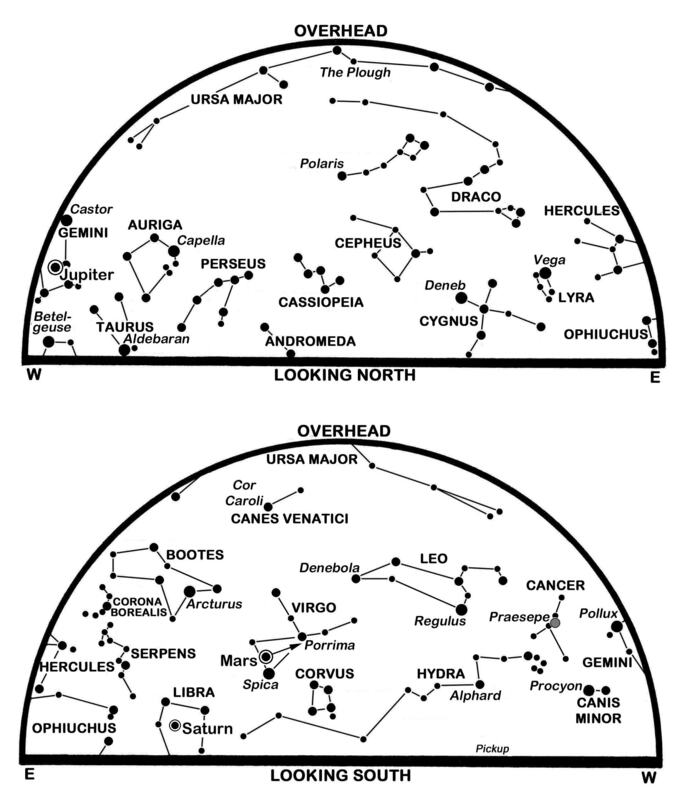 So they had to be content with only observing and recording the north/ south movement of the star. Bradley took stock and realised that the telescope they were using was not suitable to carry the experiment forward. It had so little travel at its lower end that only two stars could be observed. 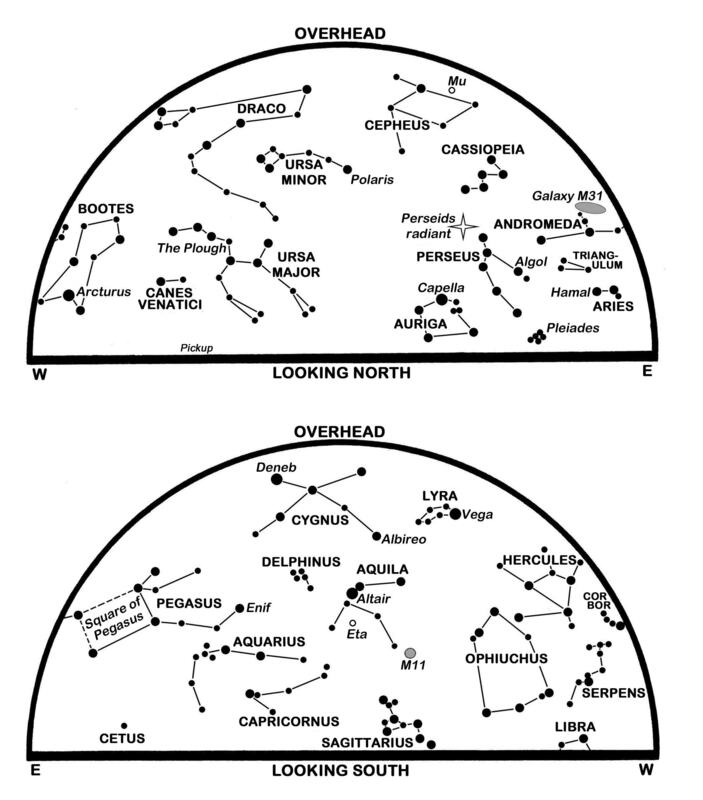 Using a star catalogue Bradley established that if the lower end of the telescope could be moved by 5 degrees in each direction over 70 stars could be observed. He further noted that he would be able to see Capella – one of the brightest stars in the sky – if the movement was over 6¼ degrees. He therefore had a new, 12½ ft Zenith Telescope made, but he had this installed in the house in which he was living with his aunt, in Wanstead. He wanted to make copious measurements and by having it where he lived he would not have the difficulty of travel to Kew. He began using this telescope in August 1727. He measured over 50 stars and at least 10 on a very regular basis. Unfortunately, Samuel Molyneux, whilst in attendance at the House of Commons where he was an MP, fell seriously ill in April 1728 and he died a few days later. This is particularly sad as Bradley was on the cusp of making one of the greatest discoveries in the history of celestial dynamics. Bradley came to a conclusion on his discovery in late 1728 when sailing with a friend on the Thames. By comparing the constant wind on the Thames with the constant light stream from Gamma Draconis, the movement of the yacht with that of the earth in its orbit, and the slight movements of a vane on the yacht mast with a telescope trained on Gamma Draconis (having to be moved as the earth changed direction in its orbit) Bradley came up with a theory now known as the “Aberration of Light”. He correctly deduced that when the earth is moving in a non parallel manner to the light from a star that the telescope would have to be tilted slightly to receive the light from that star. He calculated that the largest angle that the telescope would have to be tilted by – when the earth was moving perpendicularly to the light from the star – was 20.2 seconds of arc. This value is called the Constant of Aberration and is denoted by the Greek letter Kappa. Its currently accepted value is 20.49552 seconds of arc, less than 1.5% different from Bradley’s initial result. Knowing this angle, Bradley found the speed of light to be 20,210 times the speed of the earth in its orbit. Bradley, however, did not give a value for the speed of light in his 1729 paper. It relies on a knowledge of the radius of the orbit of the earth. Perhaps Bradley was not sufficiently convinced that the value of the radius known at this time was of sufficient accuracy for him to quote a speed of light. But what is evident is that, given an accurate radius, Bradley’s data yields a result within 1.5% of the currently accepted value. Bradley noted that the movements of Gamma Draconis were more complex than could be explained by the Aberration of Light. 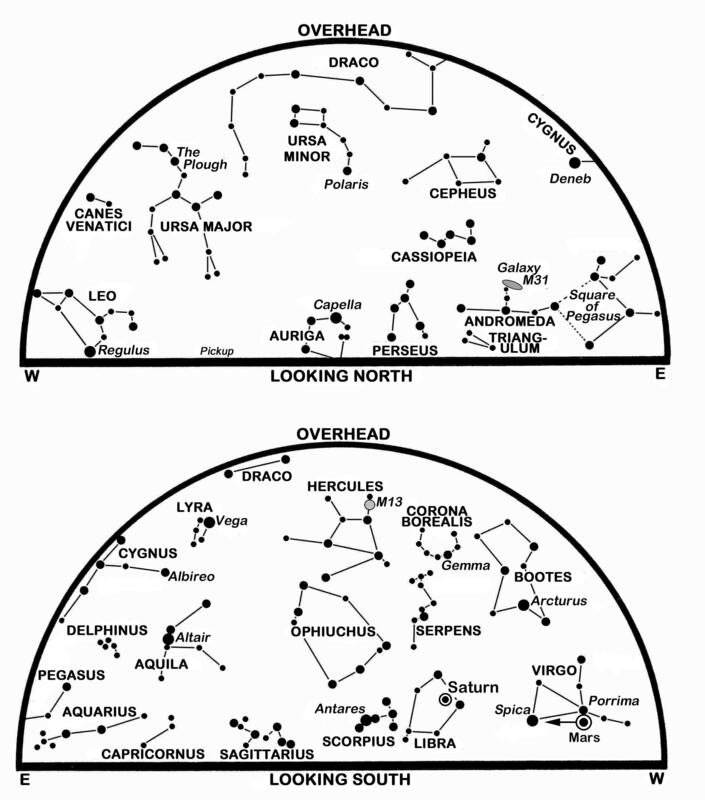 Indeed had the star movements been solely due to the aberration of light the above green curve that the star took in 1726 would have been a closed curve. So he kept his experiment going – indeed he ran it until 1747 – over 20 years since he started out with Molyneux in 1725. In 1747 Bradley published a second paper on his experiment as the secondary effects on the movement of the star were found to be related to “Nutation” – a wobbling of the earth’s axis due to the gravitational pull of the moon. One of the cycles of the moon is 18.6 years long – hence the length of time Bradley needed to take observational measurements to see this effect. The behaviour of the star over this period is demonstrated in the diagram below. These were not his only accomplishments, however. Bradley became Savilian Professor of Astronomy at the University of Oxford in 1721, and the third Astronomer Royal at Greenwich in 1742, both of which he held to his dying day in 1762. 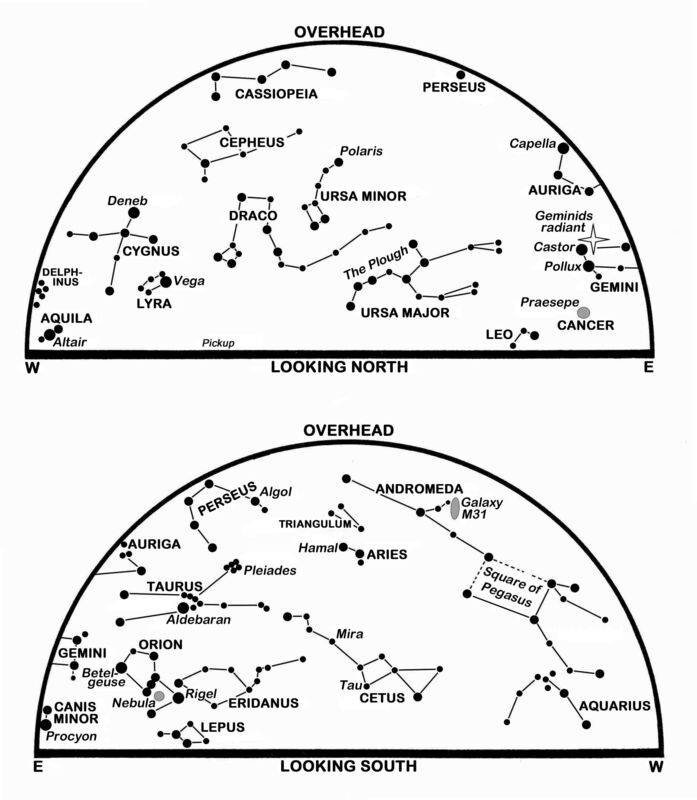 In both of these he made further significant astronomical observations and discoveries. His telescope still hangs today on a wall in the Meridian House at Greenwich where it can be seen by the public. In conclusion, I feel that the current exhibit at Greenwich does not do justice to a telescope that made two of the greatest discoveries of all time in the field of Celestial Dynamics. 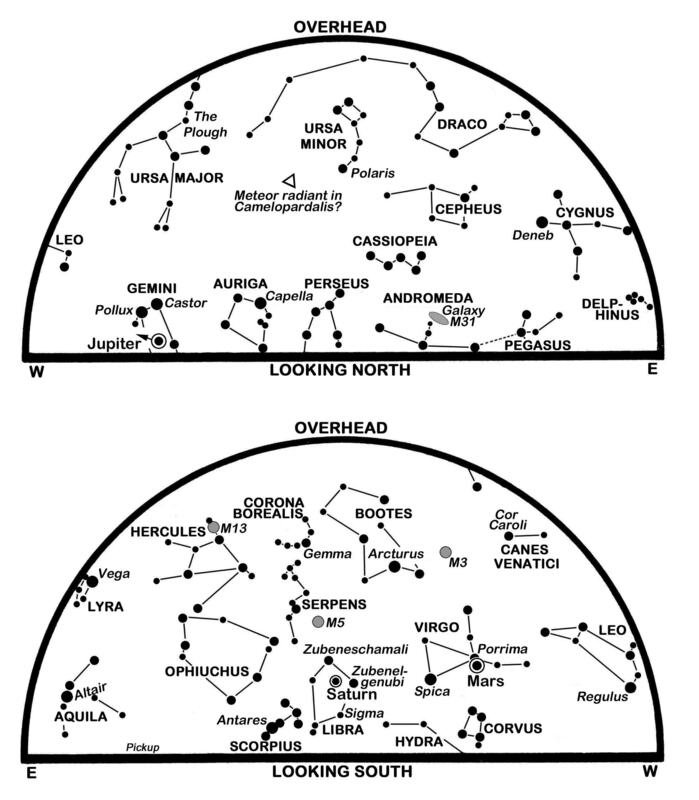 This article is an adaptation of Bruce Vickery’s talk of the same name, which was given to the Astronomical Society of Edinburgh on the 7th of March 2014. Bruce is a member of the Society and one of his personal interests is the development of software to demonstrate the dynamic behaviour of the celestial sphere. This software was used to graphically illustrate the principles involved in the discovery process throughout his talk, and examples of this are included in the article above. Our thanks to Bruce for sharing his knowledge of this subject with us in such an interesting and informative manner.